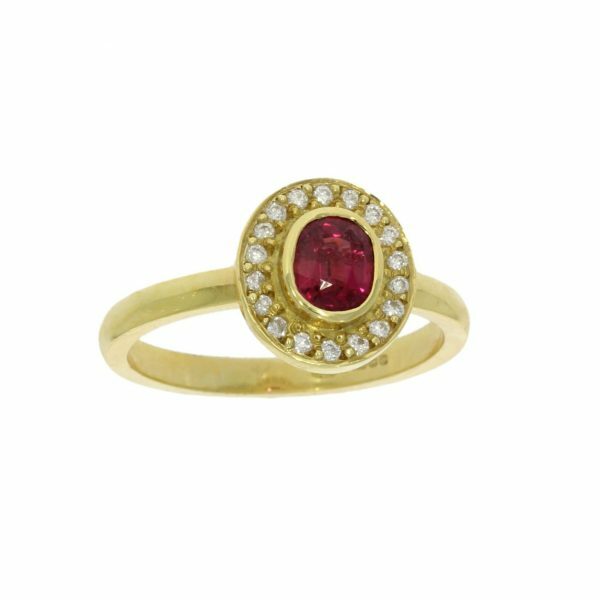 This gorgeous, light, 18ct yellow gold diamond and ruby cluster ring is so sweet and yet so dazzling at the same time. 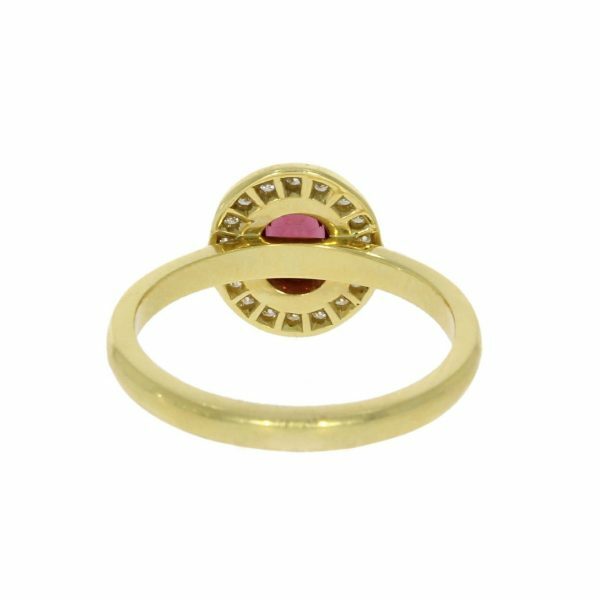 The central rub over set ruby, surrounded by it’s eighteen grain set diamonds, creates a beautiful and colourful oval cluster in warm yellow gold. 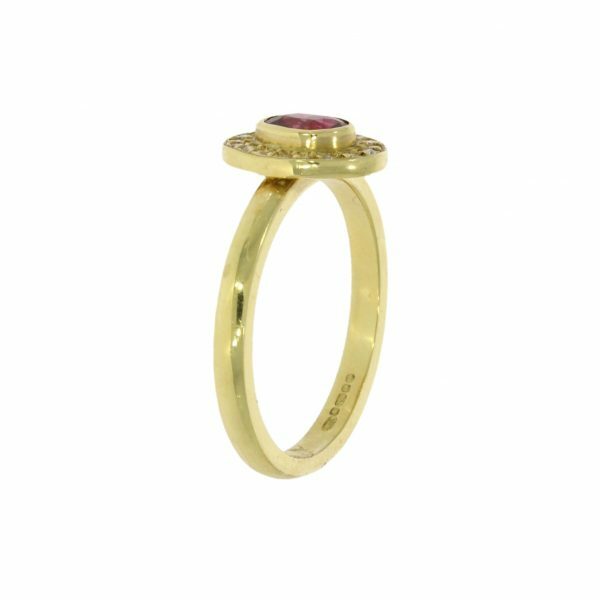 The pink tones of the ruby, the sparkle of the complimenting diamonds, and vibrancy of the 18ct yellow gold contrast tremendously together in this timeless piece of Wylde workmanship. This piece was given special recognition when it was made our ‘Star of the Month’ for February.